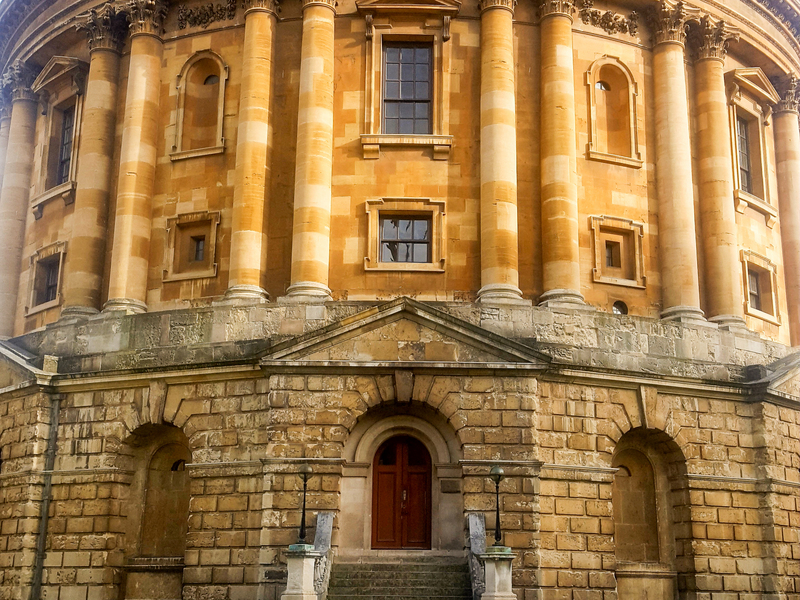 Considering that we actually let rather lat, this blog should realistically be called “How to spend half a day in Oxford.” Luckily Oxford is very easy to find your way around, with most of the main attractions being close together. So here’s our list of what to do and eat in Oxford. Radcliffe Camera – Located in Radcliffe square, this University library is casually known as “Rad Cam,” (probably amongst students who are cool or quirky enough to use that term,). The architecture of the Radcliffe camera makes it a key attraction in Oxford, and it’s said to look even more impressive on a clear night. It’s best viewed from the University church opposite. University Church of St Mary the Virgin – The main purpose of most tourists visiting the church is to climb the church tower. Ticket prices are £4 for adults, and £3 for concessions and Oxford University students. The views of Oxford at the top of the tower are arguably the best in the city, so it’s definitely worth it. (Even if you do need someone to hold your hand, or have to sing a Beyoncé song in your head as you hurriedly make your way down the steps). The Church also has a traditional café called Vaults, apparently with a cute garden area on Radcliffe square. University colleges – You soon realise that there are so many colleges in Oxford that you’re never really more than a couple of minutes from one. Each building is just as pretty as the next, with Christ Church being one of the most popular, as one of the main film locations for Harry Potter. Blackwell’s Book Shop – A book lover’s dream – Blackwell’s is a seriously impressive bookshop. This original branch of the chain covers multiple floors with a spacious cellar. University Parks – When you fancy a change from wandering the streets of beautiful buildings, head to University Parks with a picnic, or something from one of Oxford’s many coffee shops.